A quote from Tennyson's 'Ulysses'. 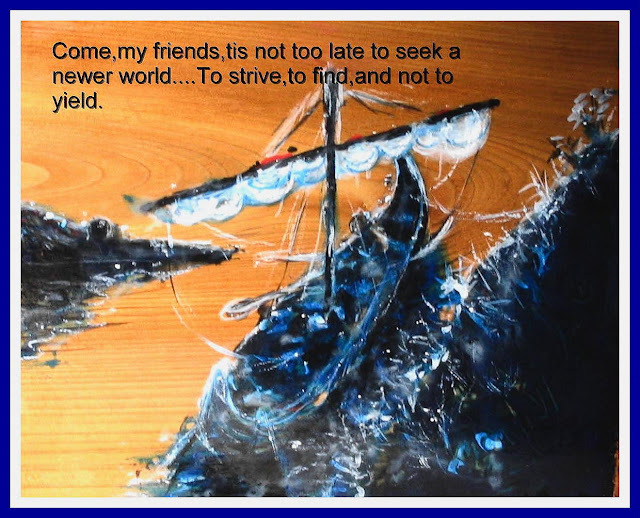 This in context speaks of an ageing hero who encourages the crew of his galley who adventured with him to the ends of the earth to set forth once more. It is not too late.... We read this however within the context of our own lives, sometimes buried amid responsibilities and grown dull and unburnished. It is a call for action, for a review of our lives and movement outwards whether physically, emotionally or intellectually. "To strive, to find, and not to yield."